I am offering some great bonus perks on new vacations booked with me! 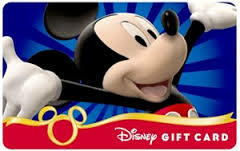 This bonus can be applied to any Walt Disney World, Disneyland, Disney Cruise Line, Aulani or Adventures by Disney Vacation! From today through January 31, 2016 all new vacation packages totaling over $3000 at final payment will receive DOUBLE GIFT CARDS!! !This means that you will receive $50-200 in gift card bonuses from me! Some summer vacation packages will also qualify for FREE Personalized Ear Hats! Packages must total $3000 or more at the time final payment is due and must include 3 day or longer park tickets for Walt Disney World and 2 day tickets for Disneyland Packages. Airfare totals are not to count as part of your package total. Here is the current gift card scale! Contact me Jess@PixieVacations.com to book today! You can also request a quote here! This entry was posted in Deals and Discounts and tagged Adventures by Disney, Aulani, Bonus, Disney Cruise Line, Disneyland, Gift Card, Walt Disney World. Bookmark the permalink. ← Disney Drops a Price?